We Sindhis Always make innovative easy recipes at home. This Recipe is made up with leftover Rotis. If you have extra Rotis after lunch or dinner. Make this Tasty recipe and use these Rotis or You can make Roti and make this recipe in Rasoi.me. Its very tasty recipe of Sindhi Seyal Phulka. Watch this Recipe and for more recipes Subscribe our channel today for home cooking. Heat pan and put the Roti in Half Half size. Fry the Rotis in oil both side. Put in the plate. Prepare Stuffing for This Recipe. This Stuffing is completely Ready then if you like Add Cheese Slice mix it will. Stuffing is ready. Change the Side of Stuffed Rotis. This is Ready in 5 minutes on Slow flame both sides. 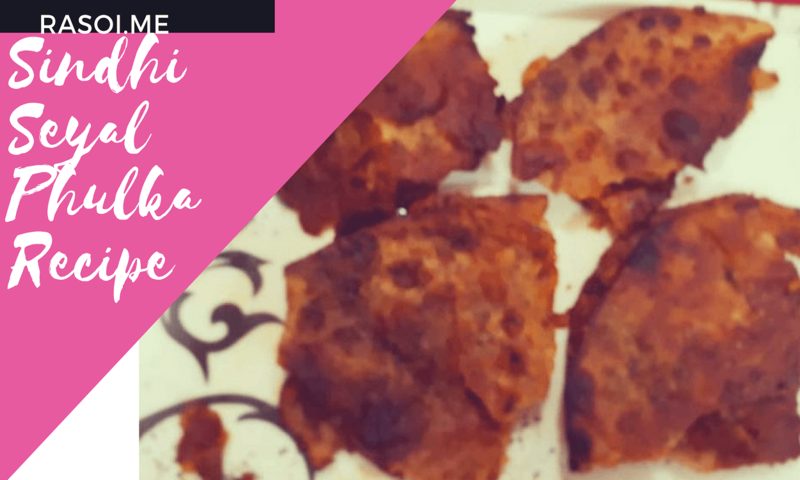 Our Sindhi Seyal Phulka or We can call Stuffed Cheese partha or Partha Pizza or Leftover Rotis Recipe is Ready to Serve. No Replies to "Sindhi Seyal Phulka Recipe | Leftover Roti Recipe | Pizza Paratha | Cheese Stuffed Paratha"